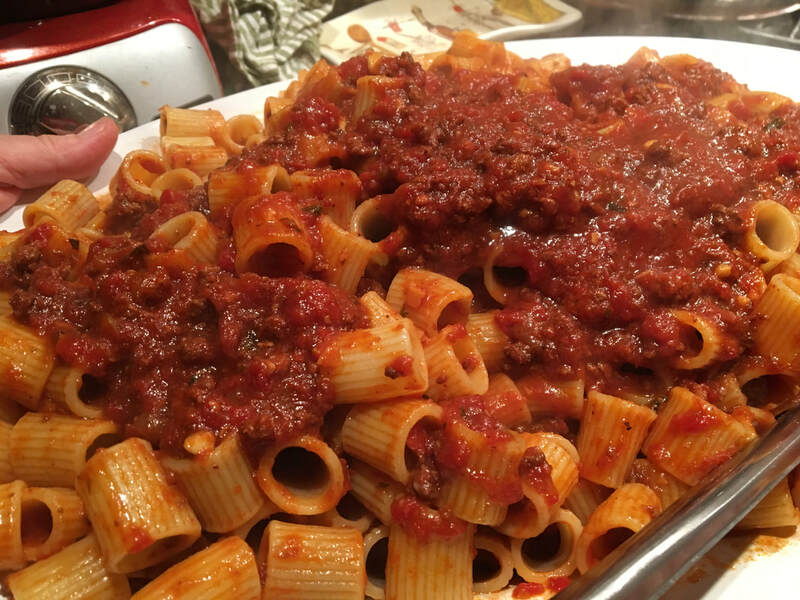 Learn to Make & Prepare Pasta like a Nonna! I grew up in an Italian-American house. 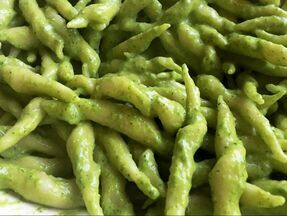 Pasta was usually dry (pastaciutta), and coated with red sauce, with the occasional fresh pesto, or al' oilio was served from time-to-time. I remember when I was a teen and I began to pay attention to my Sicilian grandmother, Agatha. My options of pasta at her home became endless. When I started to prepare pasta meals for my family I tried to keep in mind what Agatha had taught me. Variety. Pasta with sauces, olive-oil based pastas with vegetables, meats, fish... short pasta, long pasta, pastas in soups, baked in the oven (al' forno)... it became a way of life. As a huge fan of dry pasta, I rarely (and happily) ever strayed from packages of Barilla, or DeCecco. Then, there came the art of pasta fatto mano (pasta made by hand). Some delicate, some chewy. Long, short, folded, and stuffed. 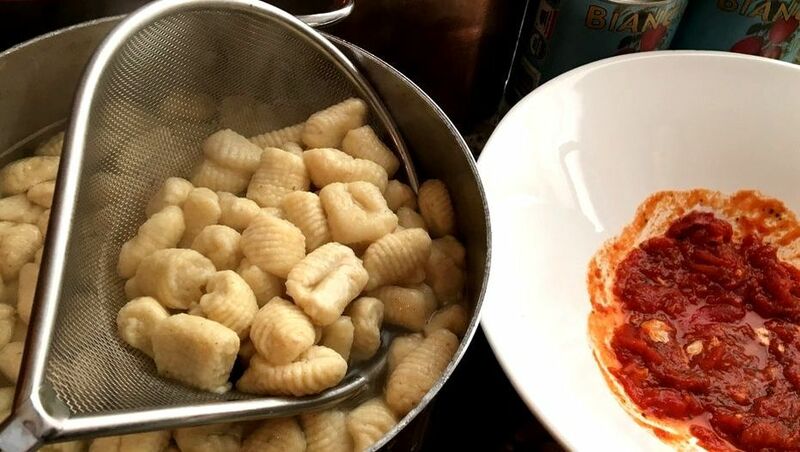 Gnocchi, ravioli, timpano... I could go on and on. 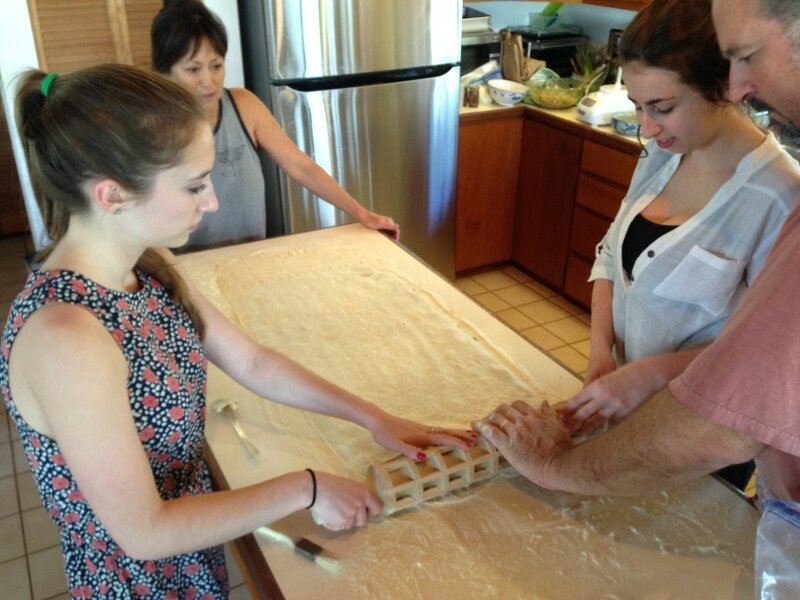 Making pasta by hand is a wonderful art and so special when it results in a delicious meal for my family and friends. It's like playdough for Italians. In my pasta classes you'll taste the difference. You'll learn to cook some delicious, rustic Italian recipes. 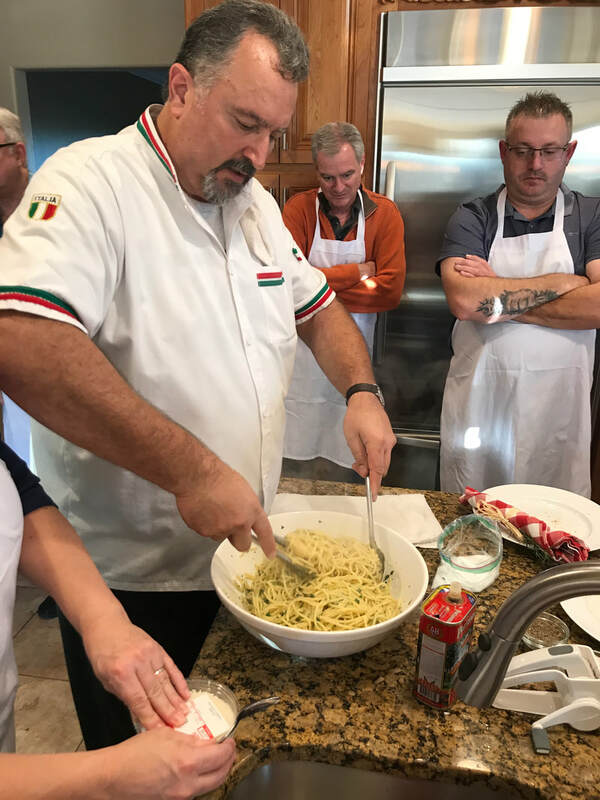 More importantly, you will learn the basic skill and foundation to create spontaneous pasta meals packed with flavor and authenticity. 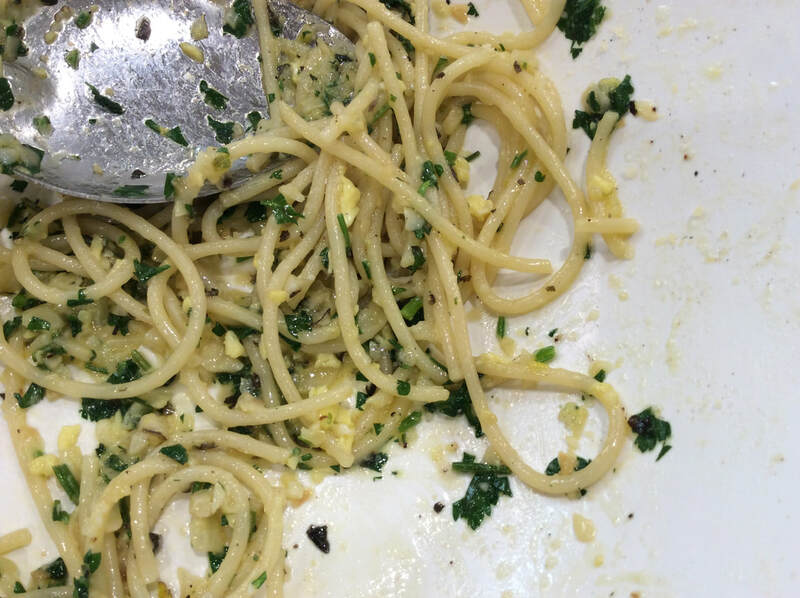 Classes are designed to teach you the pasta dishes that you want to learn, and that you want to eat! Frankie G customizes each class specifically to the desires of the participants. 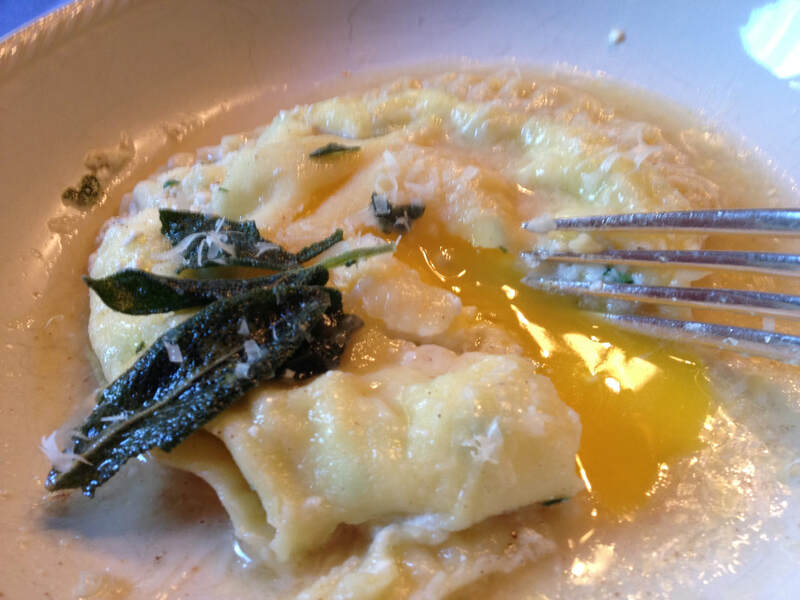 Learn to make classics like ravioli, gnocchi, farfalle, cavatelli and corzetti. 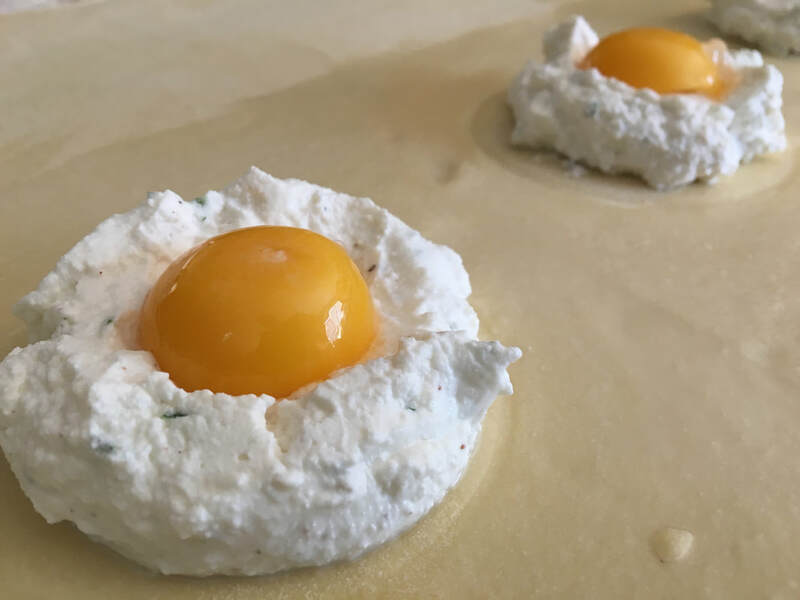 We can make fresh pasta together and hand-roll it with a traditional mattarella, or we can create amazing dishes from dried pasta, all in your kitchen in a fun and delicious atmosphere. 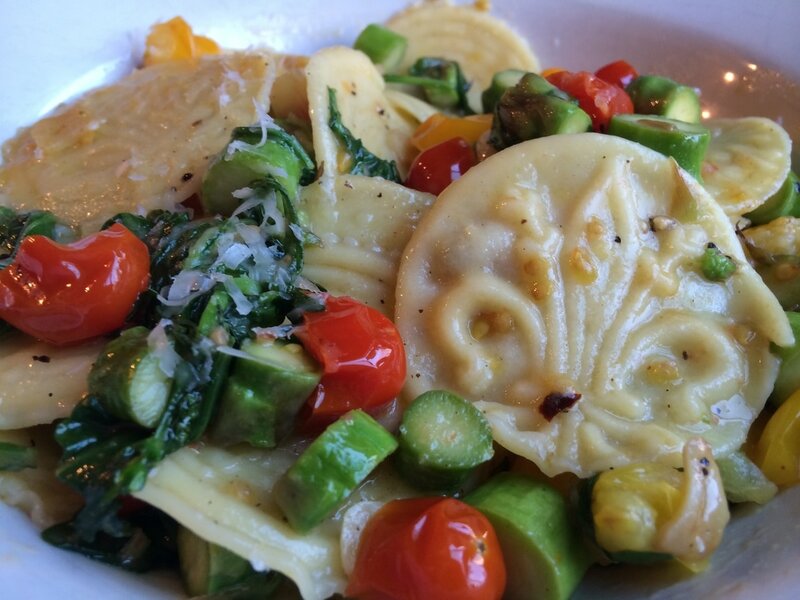 "Frankie G, taught me the classic ravioli in the style of my husband's family. Best ravs ever! Best scraps ever too!" 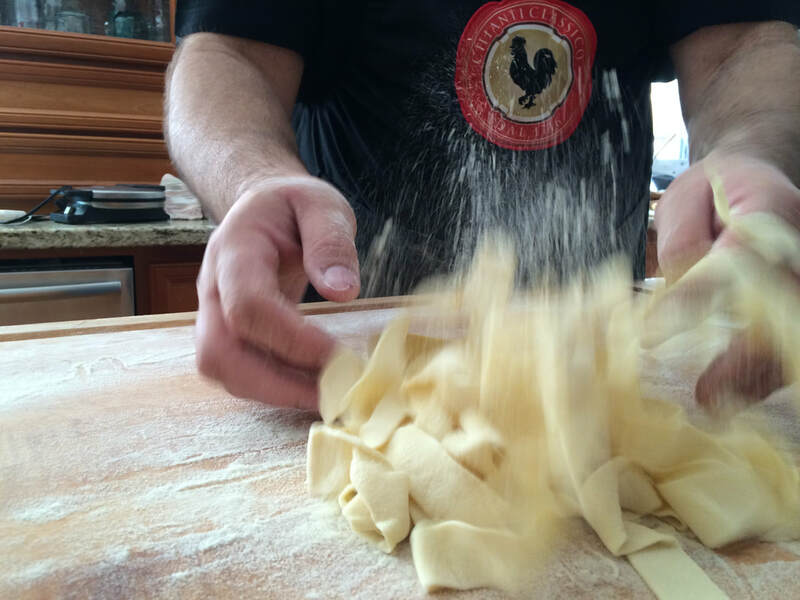 My fresh pasta class focuses on creating fresh pasta by hand without machines. Learning classic and fun shapes and meal preparation. 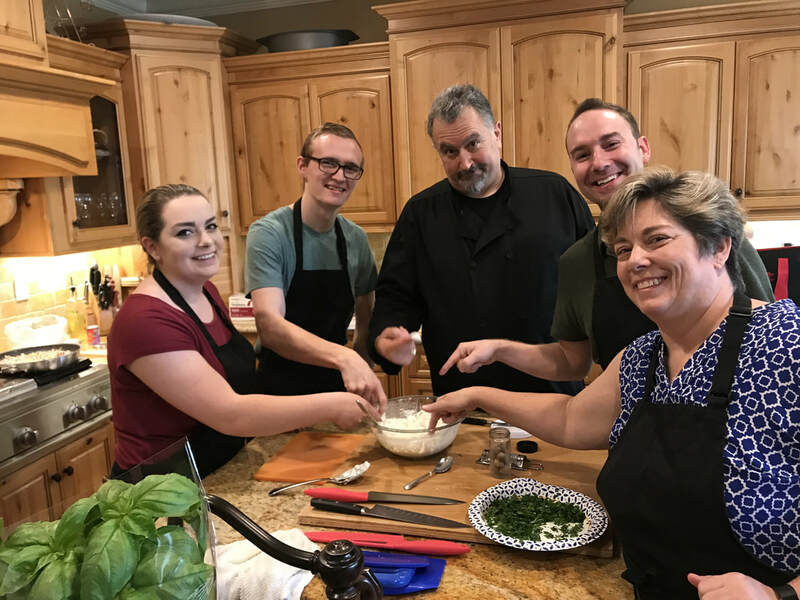 The perfect class for those wanting to understand the art of fresh pasta making, cooking and serving. Your choice of pastas will be discussed and decided by you once you have submitted the form. Best raviolis we have ever had! What a treat! Frank and Gail moved into the kitchen and brought great food, fun and knowledge. No skimping, everything was quality authentic products. 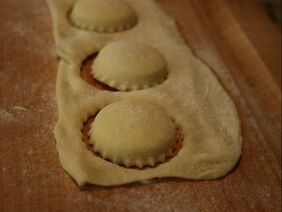 The Ravioli’s are amazing and wonderful, with left overs for another go around. 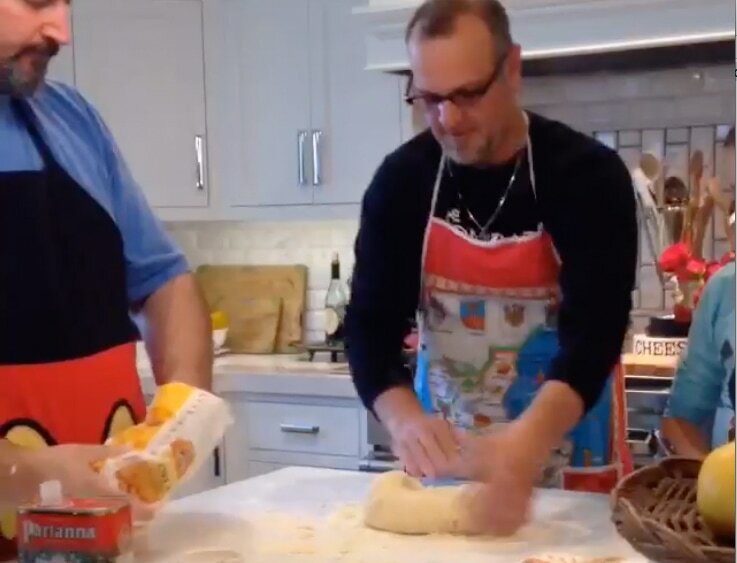 We learned so much that we can make Ravioli's again on our own. The events was more then we could have ever imagined or expected way above and beyond. We will bring Frank and Gail back for more classes. Owners of Gotta Luv Pizza Inc. Your choice of ravioli will be discussed and decided by you once you have submitted the form. We had our office Christmas party at my house today with FG pizza & Italian, Frankie G and Gail. It was great! 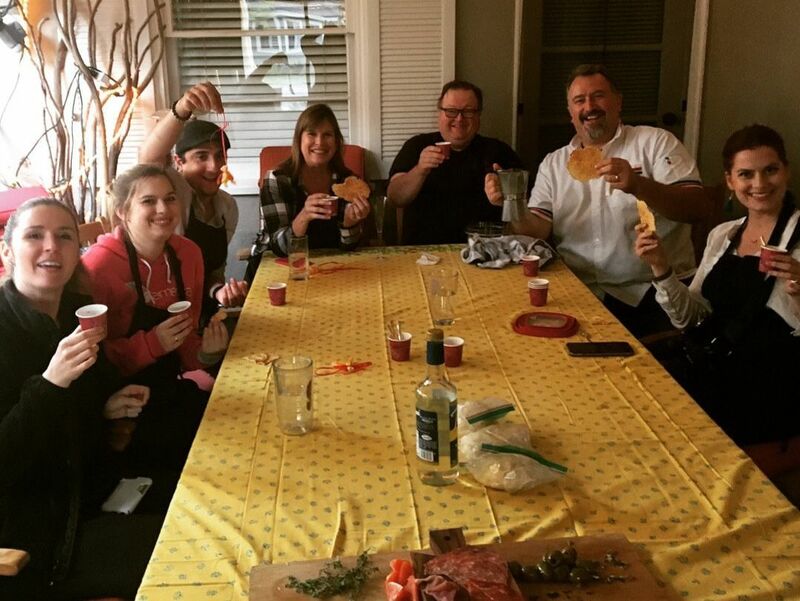 We made 3 kinds of bruschetta, fresh pasta and three amazing pasta dishes. We ate so much and had a lot of fun. Bonus - we were treated to Frankie G’s handmade cannoli - outstanding! 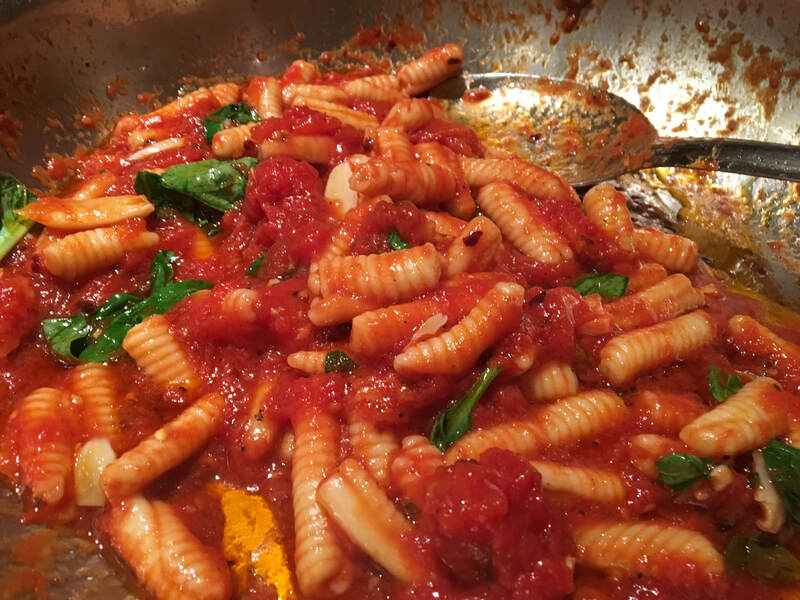 ***Our most popular pasta class! 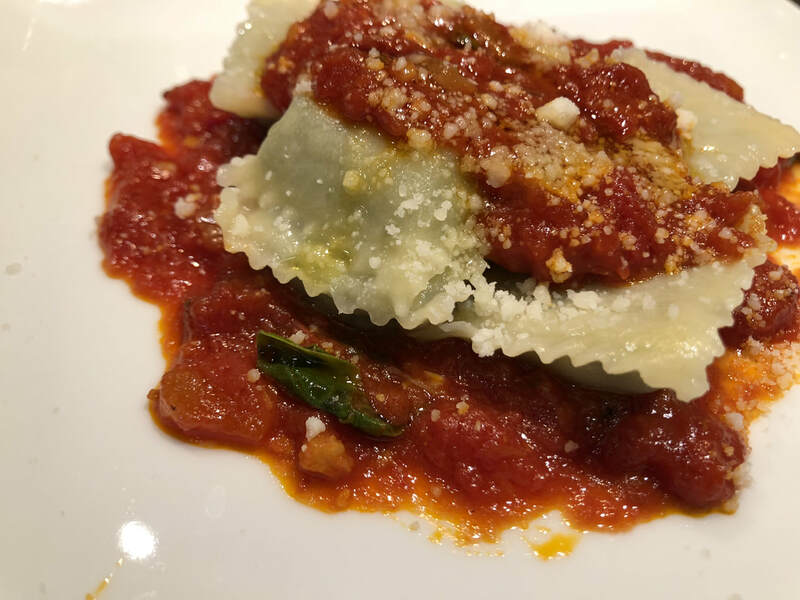 My Pasta "Due" Class includes both fresh and dry pasta (due=2), focusing on meal preparation and basic foundations of creating fresh pasta from dough to shape, and delicious pasta dishes (list here) from the fresh and premium dried pasta, with and without structured recipes. Your choice of pasta dishes and options will be discussed and decided by you once you have submitted the form. 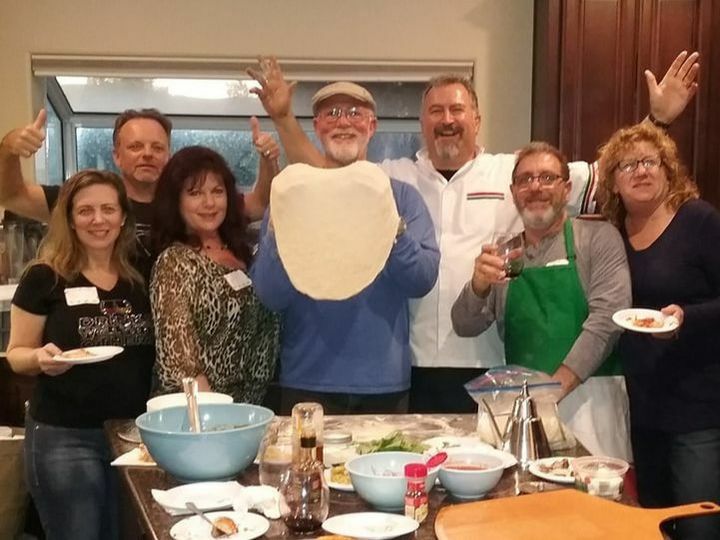 Best party ever with Chef Frank of www.fgpizza.com. 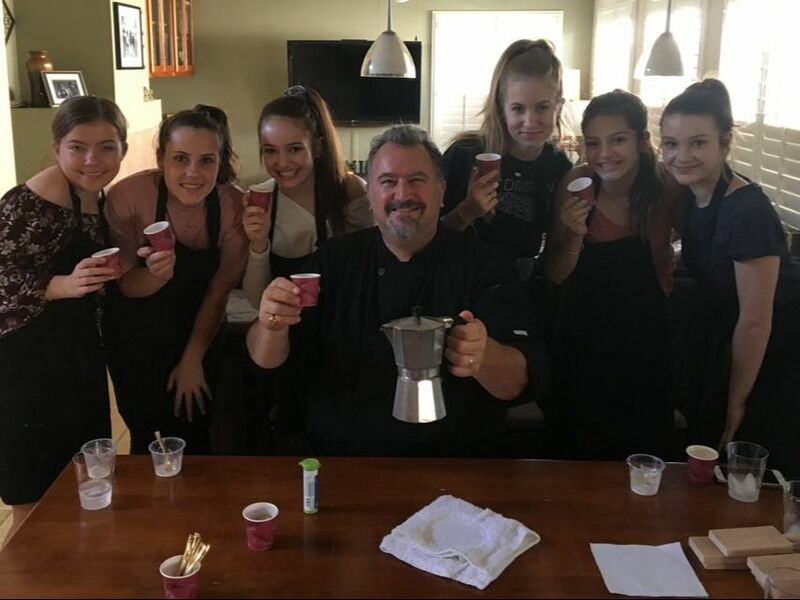 The girls learned how to make 3 gnocchi dishes from scratch as well as Italian appetizers, and boy were they delicious! Not a single detail was missed! If you are looking for a unique party idea for teens or even adults- this is a home run!!! And my kitchen was cleaner when he and Gail left them when they started!! 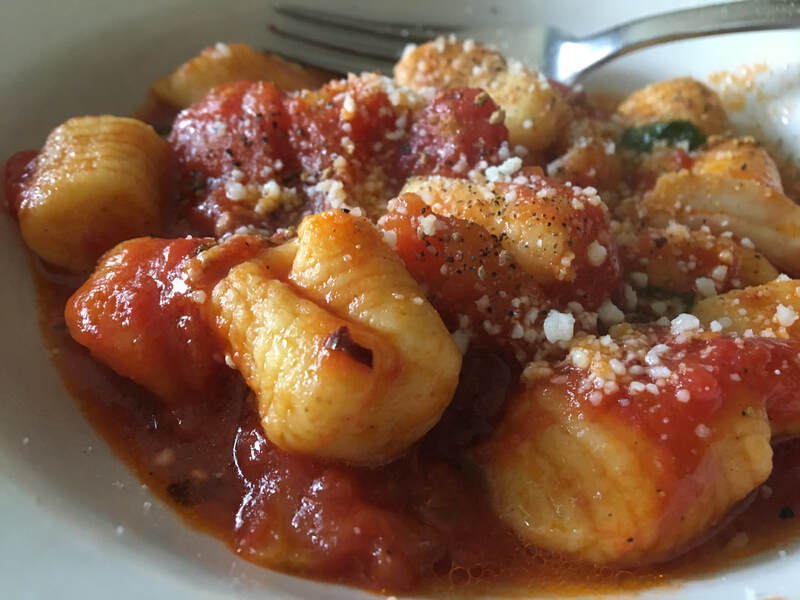 Your options of gnocchi will be discussed and decided by you once you have submitted the form. Here’s the thing: Frankie created an entire trip to Italy  for the girls. He played theme music and took care of every detail. Even beverages, he started them off with an Italian soda, I tried the cherry/vanilla, sweet, just the way you like it! They closed with a fresh espresso! Each girl wore a special apron (to stay clean, provided by Frankie) and they all received the recipe packet and a gnocchi rolling board!